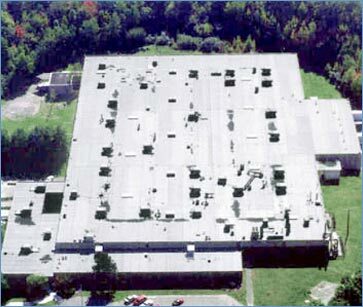 The existing built up roof system on this facility had performed well beyond its life expectancy (largely due to an aggresive maintenance program by Eagle). A fully-adhered Firestone EPDM Roof System was installed for its replacement. Installation of the 150,000 square foot roof system proceeded while the manufacturing facility was in full operation, with minimal disruptions.